Drone videos of Iceland often make it seem like a magical land. Well, AttilioRuffoPhotography adds an extra dash of enchantment to this one. With his DJI Mavic Pro, Panasonic G85, I Phone 7, and DJI Osmo gear, Attilio creates an Icelandic travel film you won't want to miss! He also does a marvelous job of integrating his wife, who was with him for the trip, into the production. 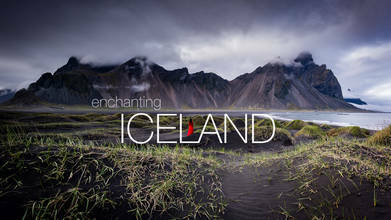 Description: 4k cinematic travel Short Film of the enchanting land of Iceland, shot with iPhone 7 Plus and DJI Osmo mobile, Mavic Pro drone and Panasonic G85. Hundreds of craters, thousands of waterfalls. Glaciers, volcanos and black sand beaches. This wild land gave me teary eyes and goose bumps. I am lucky to explore new places and to share this experience with my patient and beautiful wife Michelle, which helped me to film this video. She is, of course, the elegant enchanted muse in the Red Dress. Iceland is a reminder to all of us, of how beautiful and powerful Nature can be, but at the same time, of how delicate it is. It is our responsibility to protect and conserve Nature. I hope these images will inspire you to travel, to explore and to respect our planet.